Labor Day BBQ on the Black Sand Beach complete with 50 MPH winds! If you missed our Days 1 and 2 post in this Iceland travel series read them HERE! Day 3 thru 5 stops and highlights as we headed around Iceland's famous Ring Road! Cold and rainy half marathon training run! Had to run 10 miles in a downpour with 50 MPH winds on little to no sleep :). This is not a mandatory must do on your trip haha. Dyrholaey and Reynisfjara walking, exploration, and photo opps. Labor Day BBQ on Black Sand Beach lol! Picture above. 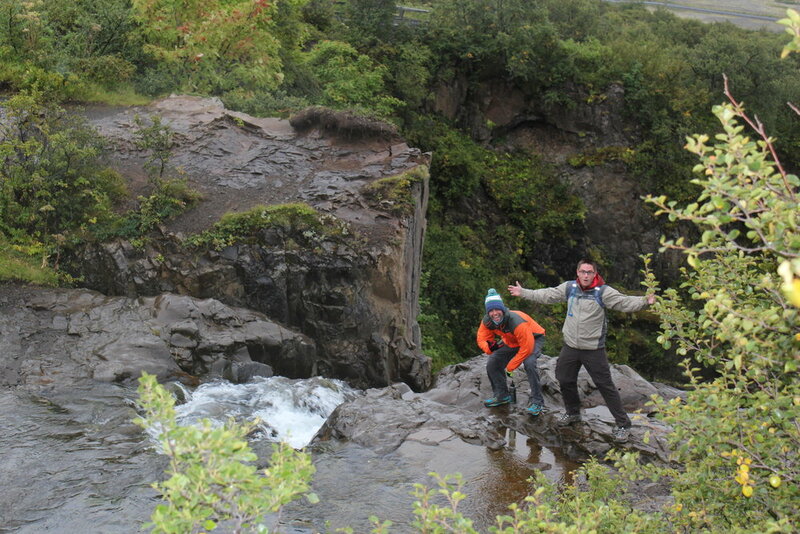 Hikes: Svartifoss Waterfall and to the top of the Vatnajokull divide in the park. Great loop hike that took us about 2 hours when combined with the side hikes. Camped on a sheep farm at Svinafell. A Lonely Planet Specialty. We went into the house of an Icelandic farmer who openly and graciously shared a hiking trail map of his backyard. This was not an ordinary backyard as you will see below! This was a truly unique and off the beaten path experience and I can't recommend doing this like this when you travel enough! This hike was about 12 miles and led to a Grand Canyone Esque trail in this "backyard." Overnight in Hofn: Best meal of the trip for me! The dessert and red wine was top notch. 4. Jokulsarlon Iceberg Lagoon: Great photo opp, long walks, and lagoon boat tours. A MUST DO! Overnight in Egilstaddir at their campground where we go to see the Northern Lights! Only time of the trip as we went in early September and they typically aren't out yet. Photo Cred to @Broughy13 for this great Northern Lights shot. 5. 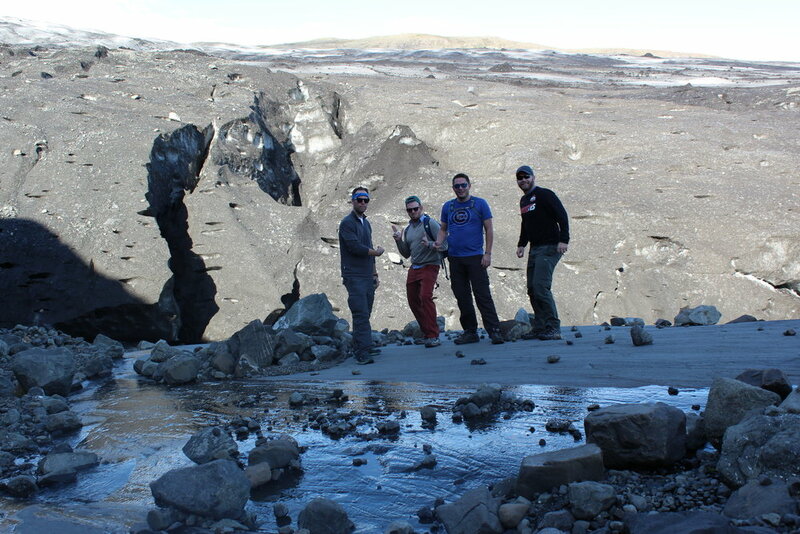 Glacier Hike/Trail to Skalalfellsjokull...say that fast three times! About a 10 mile loop that was full of breathtaking scenery and wonderful terrain. Myvatn/Thermal Region. A must stop...the Yellowstone of Western Europe! Thermal Baths: The natural and much less commercial version of the Blue Lagoon in West Iceland. Dettifoss: The most powerful waterfall in Europe! Days three, four, and five involved just more of the incredible touring that we had started to expect in Iceland. Waterfalls, scenic drives, epic hikes, incredible meals, friendly people, etc. 1. Don’t bank on seeing the Northern Lights especially if you aren't there in the winter. 2. Make this trip an extra day or two if possible, ours was 8 days so I would recommend 10. As you will see in the final post we added a lot more driving the final two days and this would be great to have very small mileages in between areas and each day. Have you booked your trip to Iceland yet? Our Vacay Helper service can get you ready! Leave your comments below, sign up for our emails in the footer to win great #Hashtag59 Limited Edition Photo Prints, and thanks for being here!